Update – We have new and updated information about the advantages of software load balancers over hardware ADCs. 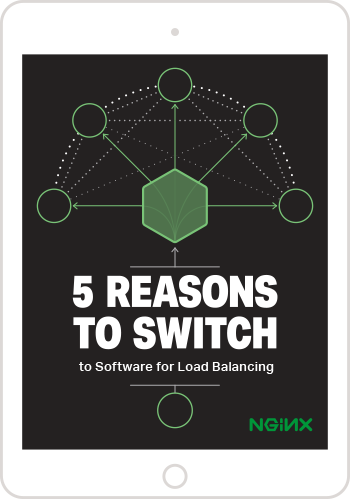 Please see our updated blog post on switching to software load balancing, download our new ebook, and check out our test results comparing NGINX Plus vs. F5’s BIG‑IP and NGINX Plus vs. Citrix Netscaler. For many data‑center administrators, deploying software to manage traffic goes firmly against everything they’ve learned. Having learned their trade in the data center, they measure everything by its hardware specifications – cost per port, mean time between failures, on‑site replacement – and anything that can’t be measured in those terms just does not compute! For a long time, load balancing was no different. It was the preserve of the data‑center or network administrator, who was responsible for the successful delivery of IP packets to the correct server, informed by health checks and response times. Packets per second, throughput, and SYN protection were the metrics that load balancers were measured on. As the Times Changed, Have Load Balancers Moved with Them? Load balancers have evolved. Now referred to as “application delivery controllers” (ADCs) by many vendors, they do much more than just forward packets. The architecture has changed too; the value of a modern load balancing solution is in the software, not the hardware. Modern applications and DevOps techniques love this approach. A software form factor aligns perfectly with the continuous delivery and loosely coupled, massively scalable goals of today’s applications. So Why Are Load Balancers Still Provided as Hardware Appliances? If your web server, database, or application provider insisted you ran your software on their bundled hardware appliance, you’d be happy to help them out…out the door. Except for very specialized situations that require hardware‑assist, there are no good technical reasons that general‑purpose load balancers must be shipped on vendor‑supplied hardware. 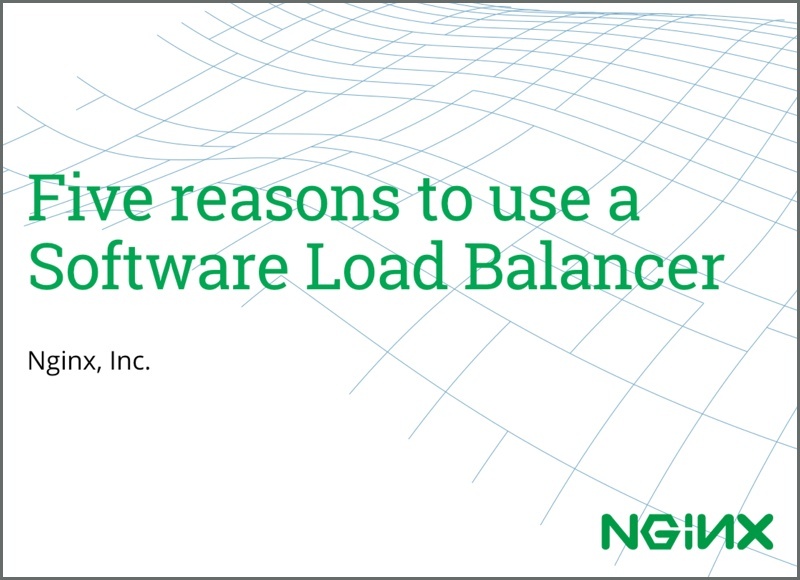 For the modern enterprise looking for a technical edge over its competition, pure software‑based load balancing unlocks a huge range of opportunities. Load balancers are no longer just packet‑forwarding devices or simple software proxies that sit apart from your applications. Load balancing is an integral part of the HTTP‑handling platform that drives modern web applications. NGINX Plus builds on the functionality of the open source NGINX software – the engine that powers more than 66% of the world’s most popular websites – to create a powerful load balancing and traffic management platform, in software, that provides all you need to successfully and reliably deliver your applications. 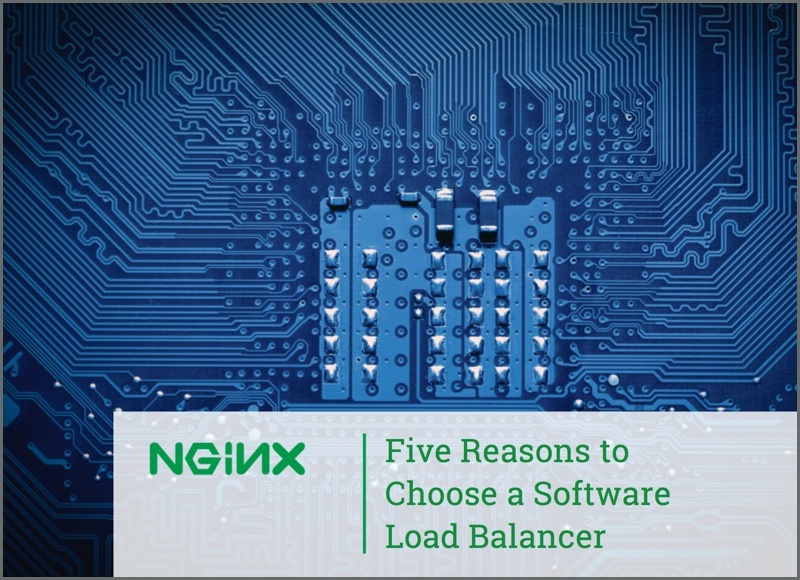 Update – Now that you’ve read our original article, check out our updated blog post on the advantages of software load balancing, download our new ebook, and see our test results comparing NGINX Plus vs. F5’s BIG‑IP and NGINX Plus vs. Citrix Netscaler. To try software load balancing with NGINX Plus for yourself, start a free 30‑day trial today or contact us for a live demo.